Case study template for science teacher education. The intent of this project was to demonstrate how SECOORA science can be used by science teacher educators and staff developers to accomplish a variety of goals in science teacher education. Opportunities emerged to leverage this initiative and expand it to ocean science in general. The video case studies and written case studies may be used to teach/learn ocean observing science content, engineering content, and, or, topical areas in STEM education (science, technology, engineering, and mathematics) consistent with national standards with which science teacher educators are especially concerned. These include, but are not limited to, nature of science; the interaction of science, technology and society; themes that unify the sciences; the transdisciplinary nature of science, processes of inquiry, ways to make school science relevant to a learner; science as a human enterprise, and career education. Materials developed were tested successfully with 18 students in a course for pre and in-service science teachers. Case studies are often used in science education to stimulate open-ended discussion among learners of any age. A case study is a story describing a person, object, event, situation, or idea followed by open-ended questions encouraging learners to explore concepts explicit or implicit in the story. The video interviews, herein, are biographical sketches of the professional lives of ocean observing scientists and engineers. They provide insight into ocean science and engineering topics and problems, the job of a university ocean observing researcher, and career development pathways in ocean science. They make ocean observing come alive as a personal endeavor through contact with individuals doing the research. This personal connection is particularly helpful in capturing the imagination and focusing interest on ocean observing careers for populations currently underrepresented in ocean science. Getting teachers excited enough about ocean observing is intended to help them become willing and able to encourage students to pursue ocean observing science and engineering studies. 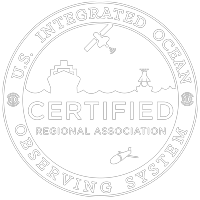 This template package provides guidance to develop case studies of ocean observing scientists and engineers suitable for use to infuse ocean observing science in science teacher education. This template package consists of suggestions for (a) ways to interview an ocean observing scientist or engineer, (b) ways to use the interview once recorded, (c) eight sample video interviews on DVD’s to be uploaded to the SECOORA website, (d) five written case studies derived from video cases, and (e) a narrative for use with teachers across the U. S. describing the context for seven interviews conducted by a college and a high school student. An essential step before an interview is to do background research on the person to be interviewed. Scientists and engineers commonly have websites describing their work. If a website is not available it is helpful to request a vitae from the interviewee. You are looking for clues to ways to personalize the general interview protocol questions below. When you request the interview, be sure to tell the person how much time you would like him/her to spend with you. Before you start the interview, it is useful to engage in some small talk while you set up the camera to put the interviewee at ease. Set the camera to the side of the interviewee at a slight angle where it will catch the best side of the person. This is determined by lighting conditions and other characteristics of the interview location. Sit directly in front of the interviewee and have the person speak to you and not the camera. This protocol includes a list of suggested questions and recommendations on how to use them. The protocol is meant to be flexible so as to enable the scientist/engineer to tell his/her personalized story. The order of the questions and the exact wording of the questions depend on the flow of the answers given by the interviewee. The sample video interviews herein, illustrate ways these fundamental questions were adapted to enable the various interviewees to comfortably tell their own stories. In some cases the questions are obviously moving the conversation from one topic to the next. In other cases, the questions are so embedded in the natural flow of conversation they are hardly noticeable. The goal of the questions is to create a conversational atmosphere. A technique to encourage the give and take that occurs in a normal conversation is this: Once you know the general area in which the scientist or engineer works, you can select an event to which you may refer indicating you recently read about “x” happening, and ask how the interviewee’s work might relate to this event? In several of the sample videos, the same episode, the Gulf of Mexico dead zone, was used to illustrate this technique. What is your name and position? What was a stimulus for you to enter science? How did you get into ocean observing? How do you use your findings? How is your research funded? Is obtaining funding a problem? If so, why? Have changes in technology prompted changes your research? Has your research prompted changes in technology? Does the government influence your work? If so, how? How do you balance being a researcher and a teaching professor? What obstacles did you encounter to getting into, or furthering your career? What sacrifices did you have to make? What are your primary sources of satisfaction in your job? What frustrations do you experience in your job? How do you see a middle or high school teacher using the data you produce in today’s schools? What advice do you have for young people in schools? How might a pre-college student get involved in research if he or she has an idea? What are the job prospects for someone interested in ocean observing science? How do you define science? What features of the nature of science are evident in this story? What insights did you get about how science is done, or progresses? What can you identify about the way this scientist thinks about solving the problem? What insights did you develop about the role of technology in the progress of science? What is the interaction of science, technology, and society implicit in this story? What basic science concepts does a learner need to know to appreciate the events in this story? What traditional disciplines of science are employed to construct understanding in this event? What might you do to enhance a class you teach now that you understand this story? What career opportunities may be implied from this story? – Another use of an interview is as a stimulus for the learner to pursue an investigation of a particular idea presented during the interview. The information in the interview provides the framework for the learner’s further inquiry. The learner then reports out using a case study format in which his/her findings appear as a narrative followed by questions for discussion. This process is illustrated by three of the written case studies in this suite of materials. These written case studies shifted the focus from the general teacher education categories in the original video interview to the specific ocean science content information that interested the learner. Mangrove Forest Decline and its Effect on Coral Reefs: A Case Study on the Economic and Natural Ramifications of Wetland Decline. Based on the interview with Dr. Pamela Hallock-Muller. Global Warming and its Affect on Ocean Stability: A Case Study on the Possible Results of Continued Global Warming. Based on the interview with Dr. Albert Hine. The Trophic Transfer of Toxins throughout the Food Web: A Case Study on the Economic and Medical Impacts of Red Tide. Based on the interview with Dr. Gabriel Vargo. Deep Reef Discovery. Based on the interview with Dr. Albert Hine. Economics and Marine Conservation: A case study on the linkage of marine conservation and economic effects. By Dave Bethany. Marine pollution A case study of oceanic pollution and how it affects the ecosystem. By Shakema Philbert. Narrative describing the context for seven interviews conducted by a college and a high school student. The narrative for the template sets the stage. Using Ocean Sciences and SECOORA Resources in the Learning Environment, places the Southeast Coastal Ocean Observing Regional Association in the larger context of the marine science enterprise and its role in the U.S. economic structure, and its influence, or lack thereof, on K-16 science education. It is intended for use by teachers throughout the U.S. who may not be aware of the importance of ocean science.